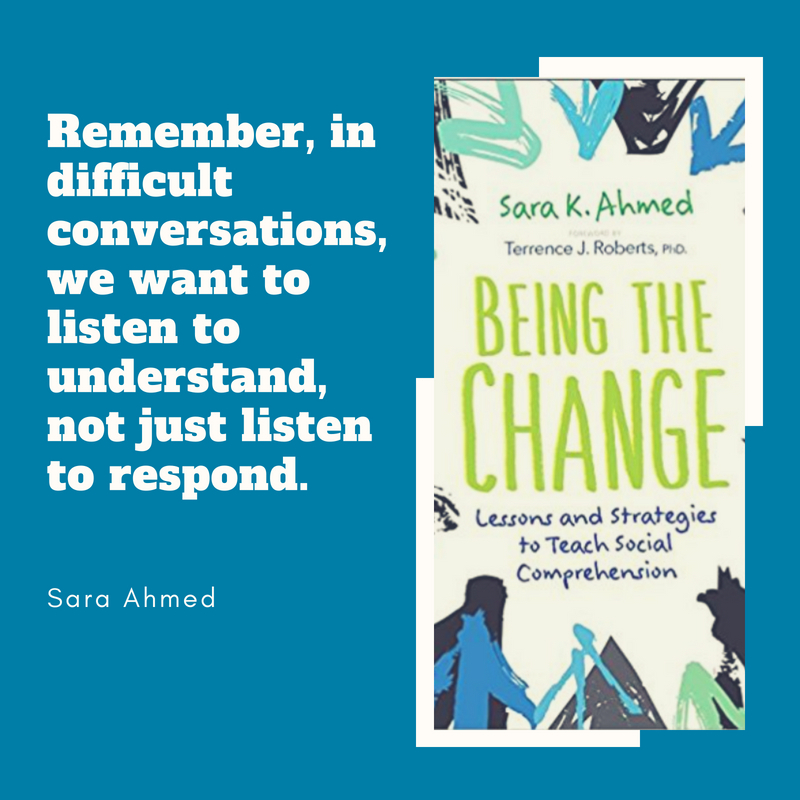 I just finished reading Sara Ahmed's new book Being the Change: Lessons and Strategies to Teach Social Comprehension by Sara Ahmed. 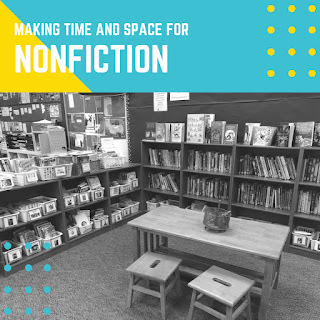 This book is about far more than nonfiction but I do think Sara takes us on a journey and helps us think about ways to support our readers in making sense of their world. Within this context, there is so much to think about when we think about the nonfiction readers in our classroom. Social comprehension, as Sara defines it in the introduction, is, "like academic comprehension, is how we make meaning from and mediate our relationship with the world We understand that the meaning making, or socialization, is learned, not inherited." Following the introduction, Sara takes us through her thinking and planning for social comprehension work in the classroom. The first half of the book focuses on knowing ourselves, thinking about our identities and biases and the learning about others. The second half or the book focuses on being informed, understanding how our identities impact us, and understanding others' perspectives. There is much to learn from Sara in this new book and I am anxious to see where some of these strategies take us in our classroom next year. Sara shares her thinking as well as words she might use to model and share with her students. She shares resources and strategies for troubleshooting. This book has changed the way I am thinking bout the beginning of the school year. Sara teaches us many things about social comprehension and nonfiction reading is a part of that. But the gift of this book is in the big picture of her message--the powerful ways to help our students in making sense of the world we live in. Her message of student empowerment is a strong one and the ways that we can help our students respond to their worlds by understanding themselves and others and by understanding the power of being informed is critical for our classrooms today. If you have not checked out the #cyberpd chat around this book, it is happening now! I have really got to catch up. I love this book, but I've been getting distracted with other things. Thanks for making me get back on track!